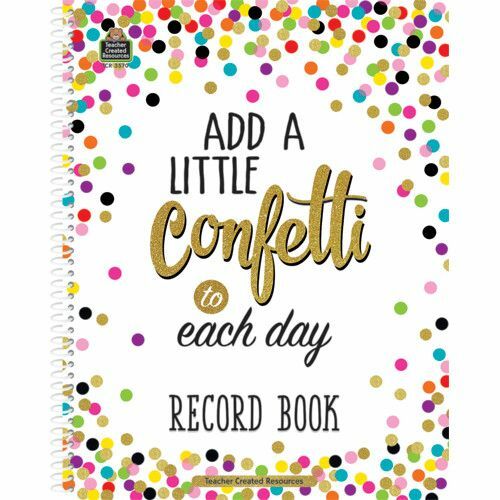 Add a little fun to your day with this confetti-themed record book. Plenty of space is provided to record grades for assignments, test, attendance, or other notations. 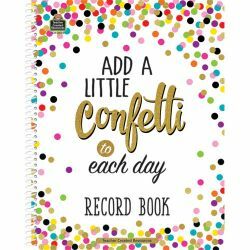 Each two-page spread allows enough space for 10 weeks worth of record keeping. Convenient, perforated pages allow for easy management of larger classes. An easy-to-use grading chart is also provided.